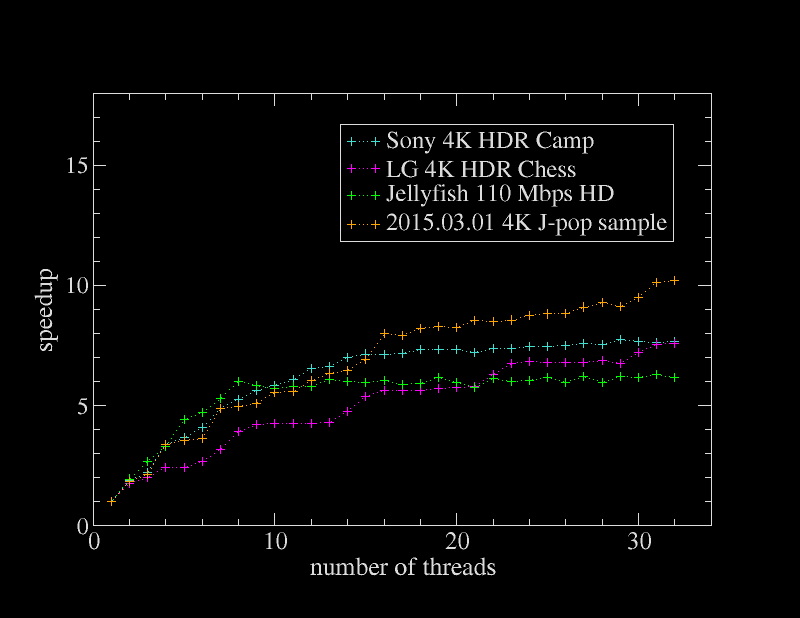 Tagged as: mpv, ffmpeg, benchmarks. 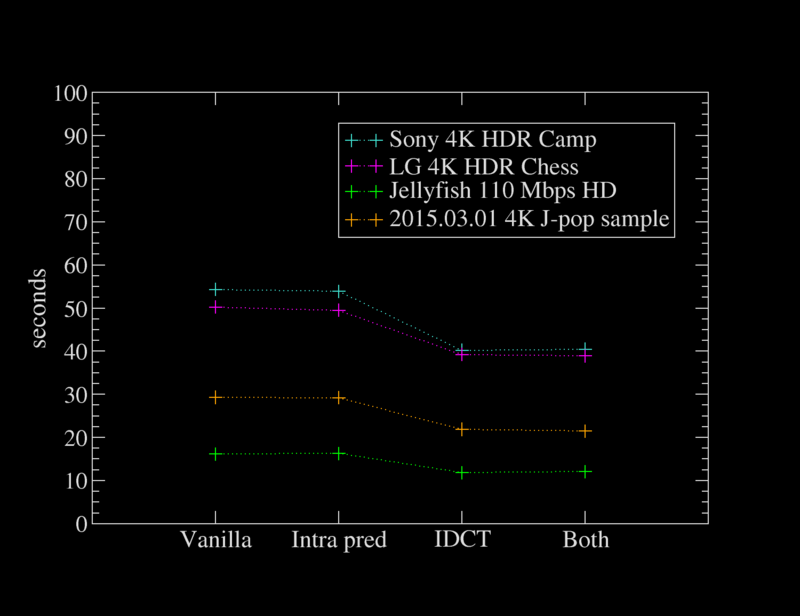 Since HEVC software decoding is still very much relevant (especially as hardware decoding chips are both scarce and limited), I decided to compile a few of the benchmark numbers I’ve gotten in the past into a set of graphs. Either way, seems like it’s best to keep this patch off. I have adjusted my own FFmpeg patches accordingly. In case you’re crazy enough to buy a 16-core machine for video processing, you’re not going to get great results out of software decoding after the first few cores. 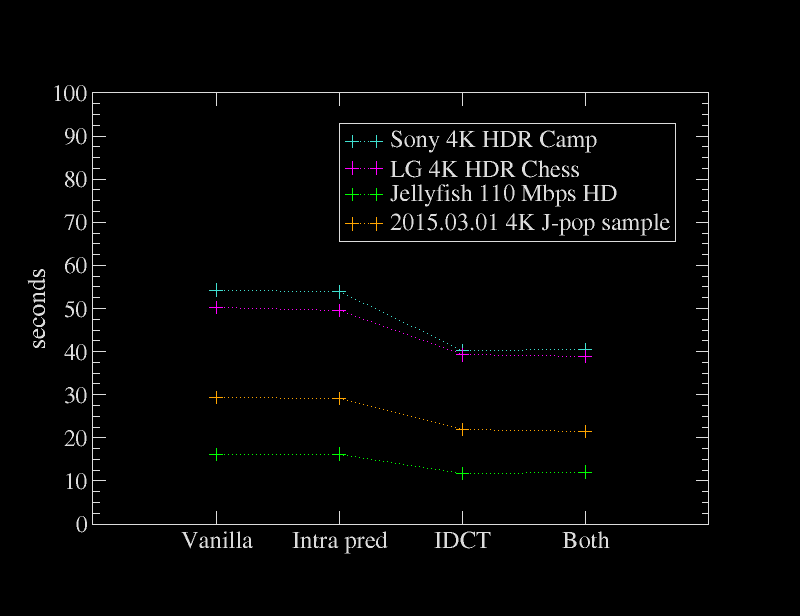 Tests were done using ffmpeg version N-82215-g3932ccc with both OpenHEVC intrinsics patches applied.